Beer may be the common beverage of the people, but it is far from simple. With 10,000 years of history, more than 900 identified flavours, dozens of styles, and thousands of breweries around the world, beer is as complex as its grape-based neighbors in the liquor stores. It is an artistic creation, brewed from dozens of possible ingredients and processed in hundreds of different ways. Mosher guides readers to a better understanding of how every batch of beer is affected by each of the brewmaster's choices - recipe formulation, brewhouse procedures, yeasts, fermentations, carbonation, filtration, packaging, and much more. Beer can be light, dark, mild, strong, flat, or fizzy. Hundreds of tastes can be detected in beer, from resin to toast, and from apple to smoke. 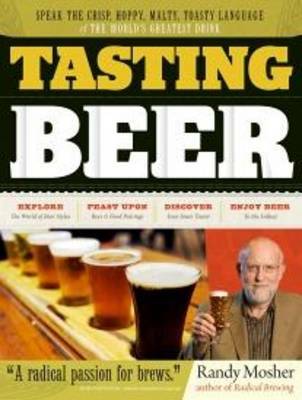 Readers will learn how to identify the scents, colors, flavors, and mouth-feel of all the major beer styles. There are also chapters on proper serving and storage conditions, and classic beer and food pairings. The second half of the book is a style-by-style compendium of the different brews within major beer families, including American craft brews, British lagers, German ales, and Belgian Dubbels. For each style there are historical and regional facts, taste and aroma characteristics, seasonal availability, food pairings, and a few terrific recommendations for readers to sample. "A radical passion for brews." Bob Townsend"